When utilized correctly, training aids can help any golfer improve their game, no matter what level of player they might be. I recommend using training aids during practice sessions in order to get a feel for what you are trying to accomplish. Not all training aids are good for everyone, so depending on your tendencies, make sure that you choose one that is right for you. Please find a list below of the most popular training aids and equipment that I am currently using, along with a link to the website for each product. If you have any questions about a training aid that might or might not be right for you, please do not hesitate to let me know. Swingyde: Training aid designed to promote the proper amount of wrist hinge during the backswing, creating good sequence and leverage throughout the swing (www.golfaroundtheworld.com). Power Hitter: Weighted club designed to build core strength and create greater clubhead speed. Best used by rehearsing the swing in slow-motion and pausing for several seconds at critical points during the swing. Extra weight also promotes the club to swing on its intended plane (www.momentusgolf.com). Right Arm Link: Training aid designed to create width in the swing by using the right arm correctly on the backswing. Includes three separate settings in order to improve the length of the backswing (www.golfaroundtheworld.com). Heavy Putter: Brand of putter that has been designed with a heavier mass, with heads weighing between 100-200 grams more than conventional putters. Promotes the involvement of the larger muscles, minimizing the amount of hand action used throughout the stroke. 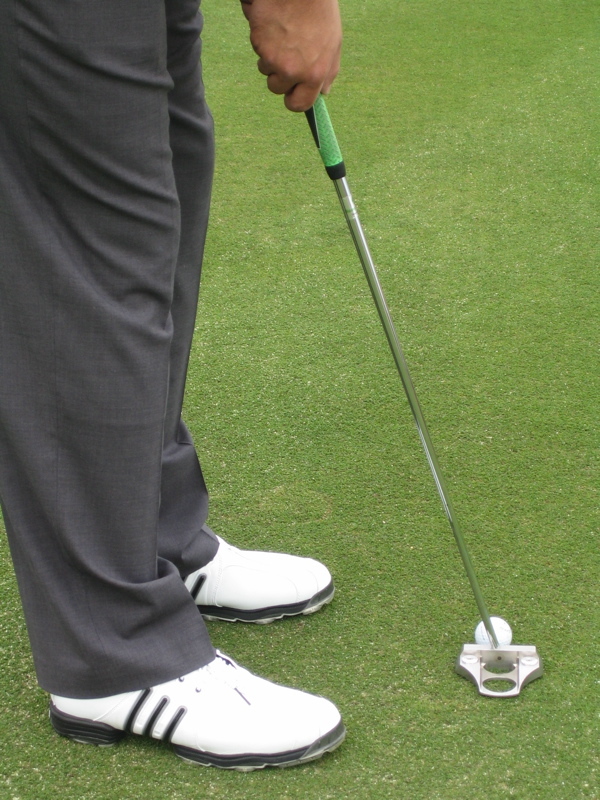 Extra weight makes it easier to swing the putter on the correct path more consistently, promoting a pendulum stroke and leading to a more consistent swing path (www.heavyputter.com). Dyna Discs: A training aid that is great for anyone’s golf swing, Dyna Discs have been designed mostly for balance and strength training. 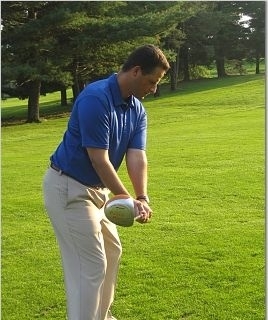 Allows golfers to work on their core muscles, creating torque and coil throughout the swing (www.exertools.com).